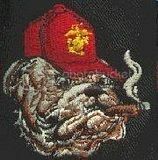 Gunny G: Do Ya S’Pose The JCS (and others) Have Now Long Since Ceased To Worry? (If They Ever Were Concerned At All????? | GUNNY.G: COCKED AND LOCKED ~ ONCE A BLOGGER ALWAYS A BLOGGER !